Sometimes fashion throws us a bone. For instance a few seasons ago when fashion was all 'oh hey, let's give your thighs a break with these ultra skinny jeans and try these bf jeans.' That was a great day. These days fashion is all 'oh man, skinny stilettos are zero fun to walk in, let's try this stacked heel.' And we're all 'heck yeah, fashion, thanks!' 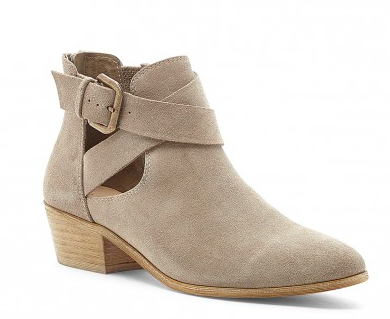 So today we're looking at some super comfy stacked heel booties. Classic. Casual. Perfect for a long day of errands, brunch, and out for the night. Again, simple and easy to wear with just about anything. Need a bit more height? 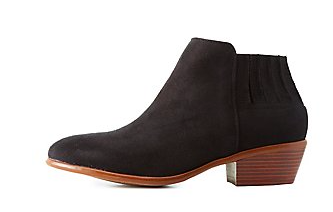 Try these booties that are a steal right now! Some great details on this shoe. Also available in black or light blue. 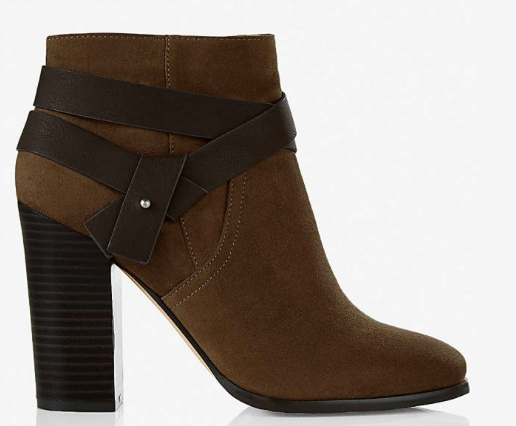 A stacked heel is a wonderful thing. It's easy to walk in and comfortable to wear all day long. Booties are going to be around for some time, so why not grab a pair that is comfy and stylish. 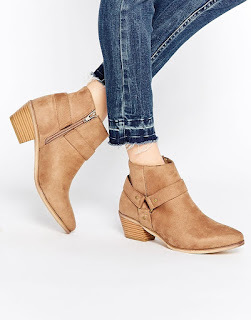 I am desperately searching for new booties! I love your choices, totally making a Charlotte Russe stop this weekend.